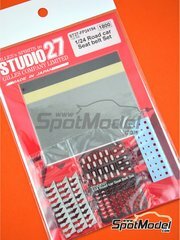 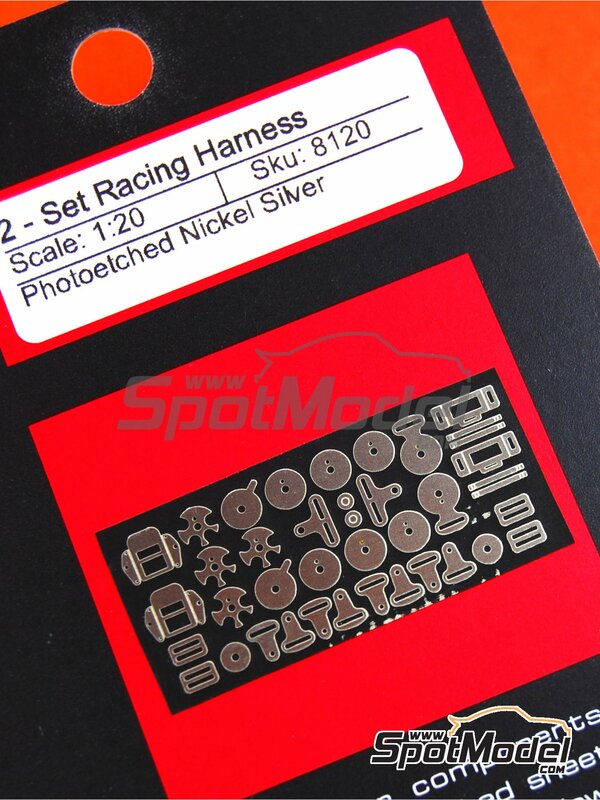 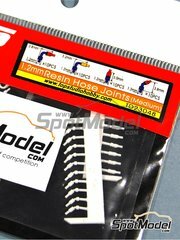 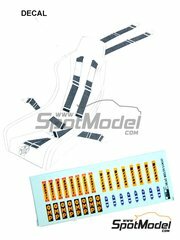 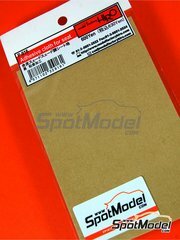 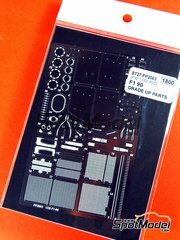 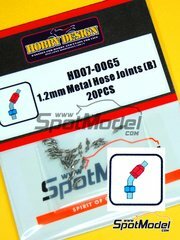 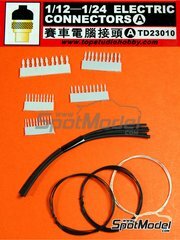 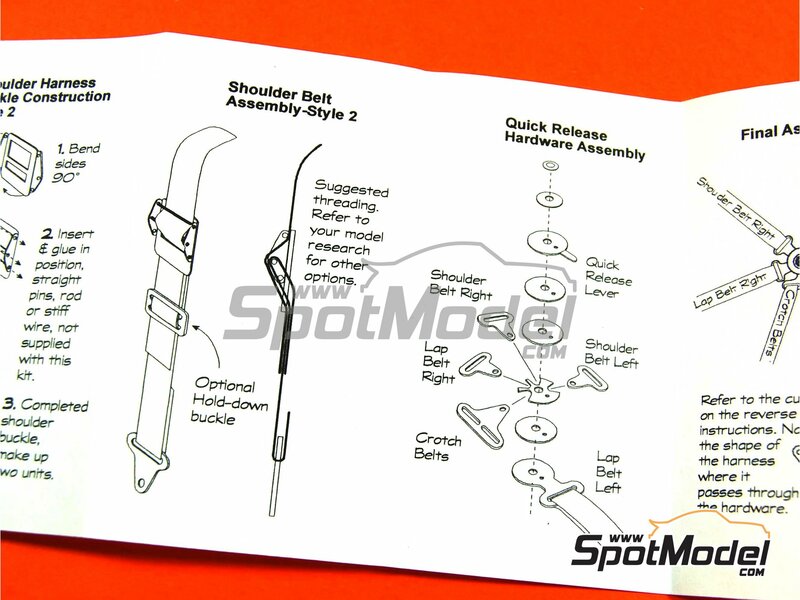 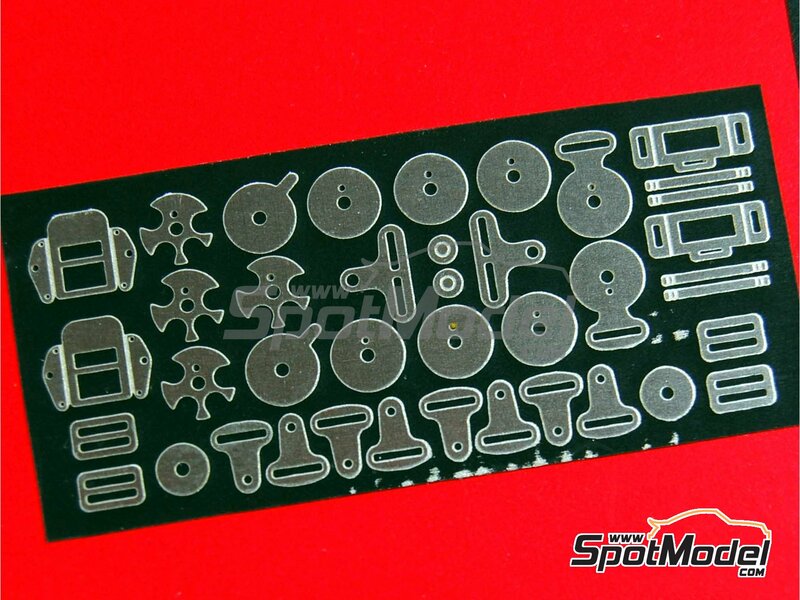 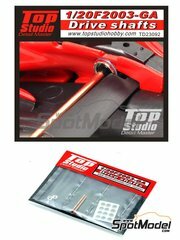 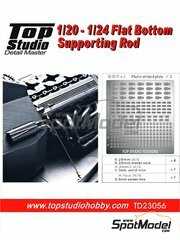 Bracketless photo-etched parts for recreating the safety harnesses of your 1/20 scale racing car models. 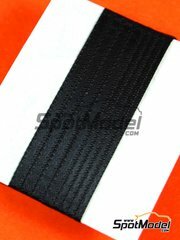 The set also includes seatbelt fabric. 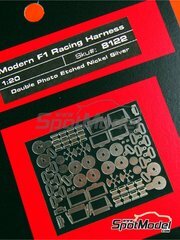 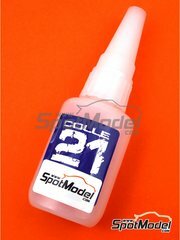 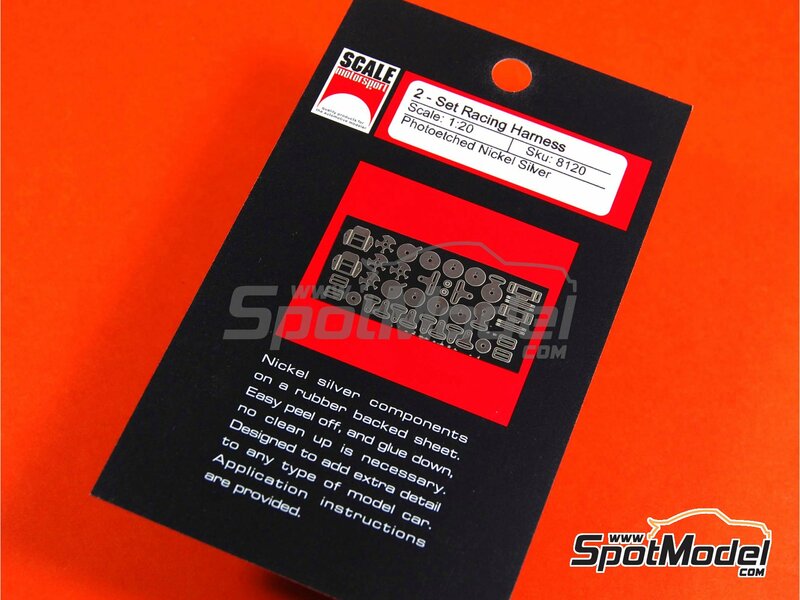 Manufactured by Scale Motorsport in 1/20 scale with reference SM8120 (also listed as 8120). 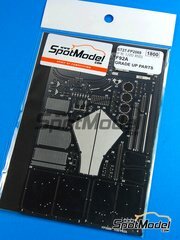 Includes photo-etched parts, other materials and assembly instructions. 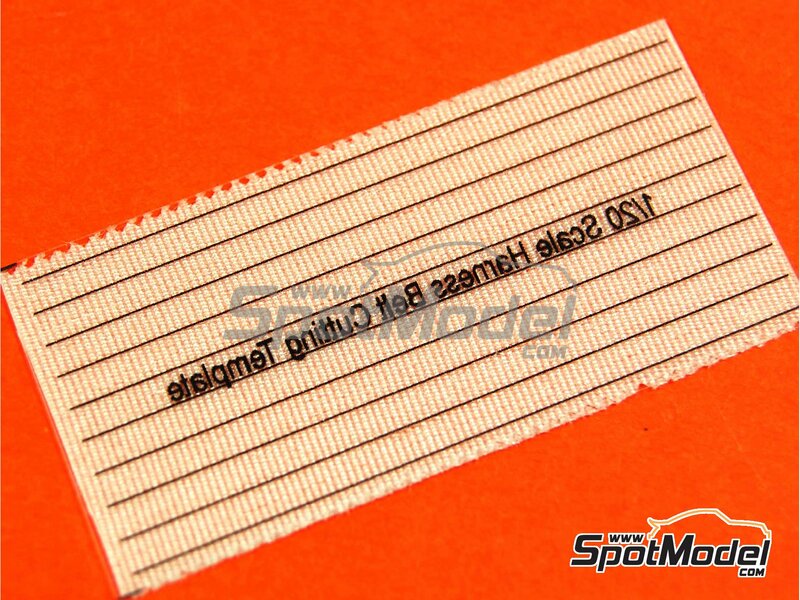 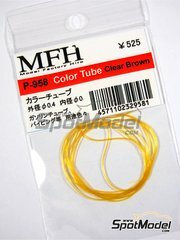 Package measures 80 mm x 122 mm x 1 mm (width x depth x height), weighting 6 g.